Pucker Up! 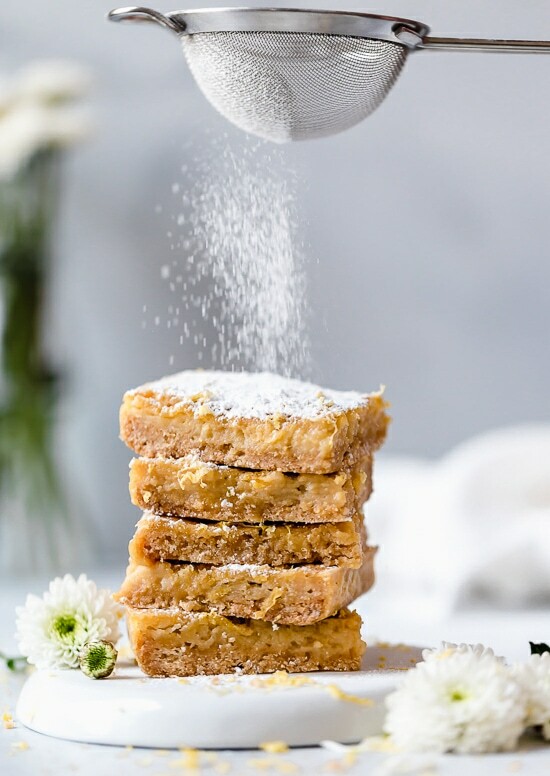 These sweet and tangy Honey Lemon Bars made with fresh lemon, lemon zest and honey and a whole wheat shortbread crust are a little lighter than traditional lemon bars, but are so tasty and hard to resist. I love a good sweet and tangy lemon treat. Some of my other favorite lemon treats are Lemon Cheesecake Yogurt Cups, Pink Lemonade Confetti Cupcakes and Lemon Cranberry Scones.